It’s no secret I have a weakness for a good old online shopping session (more often than it’s considered healthy, I may add), but you might not know my favourite place to shop online is, no doubts, Etsy. When I think of it, I think of thousand or more pair of hands working at something of huge value in the same very moment and building objects, art, products, that are truly unique and special. You can buy handmade elsewhere, but Etsy is the place where to go and support little crafters and artists that really need the support you can give them with a simple purchase or a little feedback. So to share the love for handmade, I will start today suggesting my favourite Etsy shops, with the only aim to introduce you to some local (or not) artisans that really deserve a mention or two! When buying on Etsy there’re no boundaries, you can shop from artisans from all over the world, but sometimes the shipping cost or tax fee could be a limit, so I generally tend to shop from inside the EU, but, as you’ll see, sometimes oversea shops can definitely be worth the effort, the waiting and the extra pounds spent for shipping! Isabel is a Madrid based talented Irish illustrator that creates the cutest notebooks, fabrics, stickers, prints using her own illustrations. 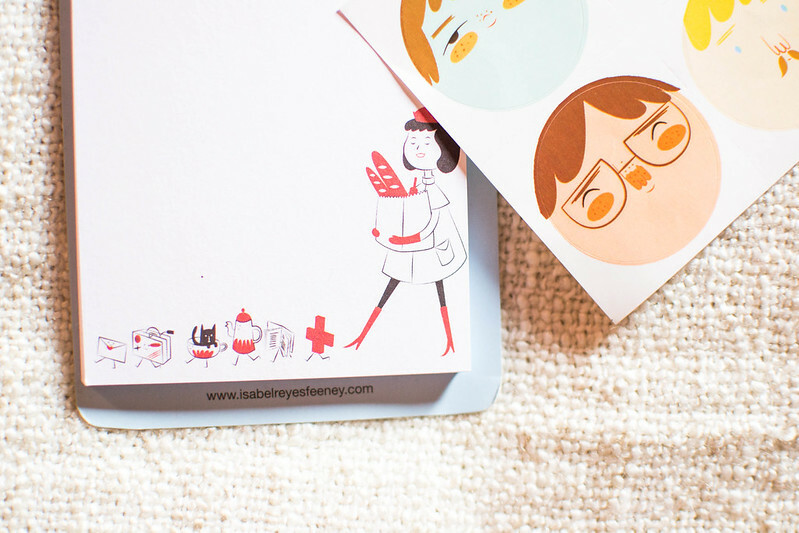 Her shop is jam-packed with adorable stationery pieces, home and paper goods, prints and phone cases, and her unique illustration style is the sweetest thing, really! Despite all her items are handmade and unique, everything is really affordable, which means you really need to treat yourself to something from her shop at some point, no excuses! I bought: Magnet Note Pad / Stickers (Sold out). Beside looking for EU based shops, I definitely also try to support national artisans too, and Claudia is in fact a super talented Italian food stylist that sells everything food lovers would adore to own to style and decorate their food! From cute paper goods, to colourful paper straws and adorable muffin cups, washi tape, tea cloths, gift tags and all kinds of twine, you can definitely find anything you’ll need to style and take a good food picture in her shop! She is such a lovely girl too, and really cares about your order – she also added some cute labels and a bit of extra twine to my parcel which were very appreciated! I bought: Chevron Paper Bags / Stripe Paper Bags / Jar Tags. If you’re looking for something truly unique and different, you can’t go wrong with Lenny Mud. ‘Lenny’ creates a large variety of objects with clay and has really beautiful and innovative design skills; her shop is full of beautiful mugs, teapots, bowls, ornaments that would be perfect gifts for him & her for any occasion, really. 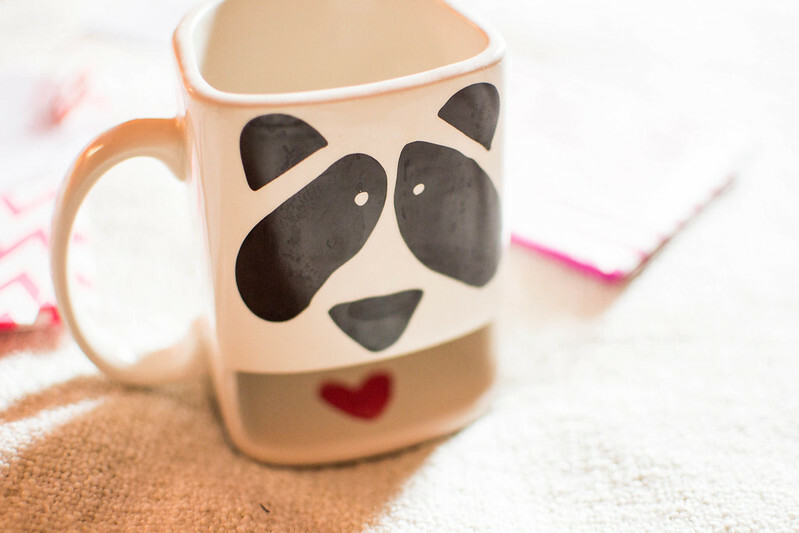 In fact my adorable panda mug was a well appreciated gift from my boyfriend! If you’re not USA based, be prepared to spend a bit extra pounds for shipping, but I’ll tell you this, all her products are totally and completely worth it! He bought: Panda Cookie Dunk Mug. If you like my suggestions, you might want to check out my other Etsy favourites! Thank you for sharing these – I am definitely checking out Lenny Mud, I love those mugs!! 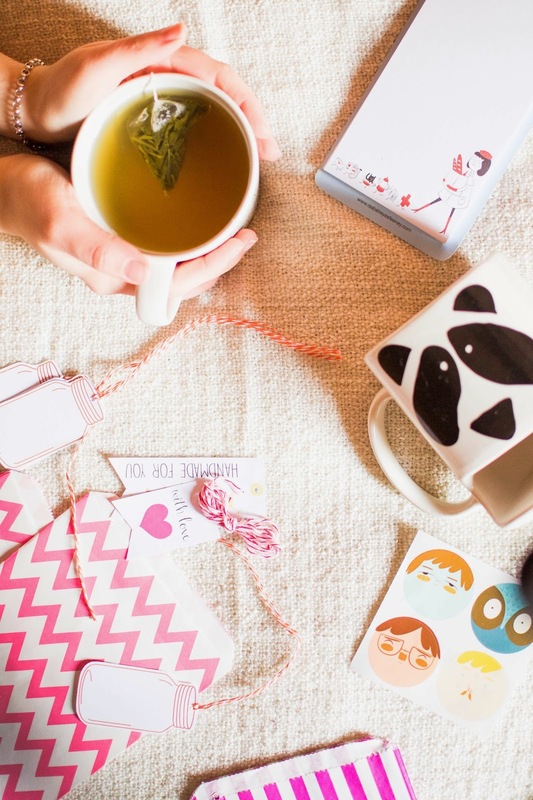 I love this cute post.. That panda mug is adorable! I always hate how cookies don’t fully fit in my mugs.. That’s a good idea 🙂 Keep up the good work I love your posts! These are all so pretty and I want to look more into etsy as they look like they have some amazing stuff. I love those notepads and stickers by the way. Love that mug! I have an addiction with shopping on Etsy too, I just can’t resist all the amazing finds! You have such a lovely blog here! The photos and design are just wonderful! I keep meaning to make a few Etsy purchases and this is definitely making me want to even more! Such pretty things! I adore Etsy too, and the things you’ve bought are super cute! 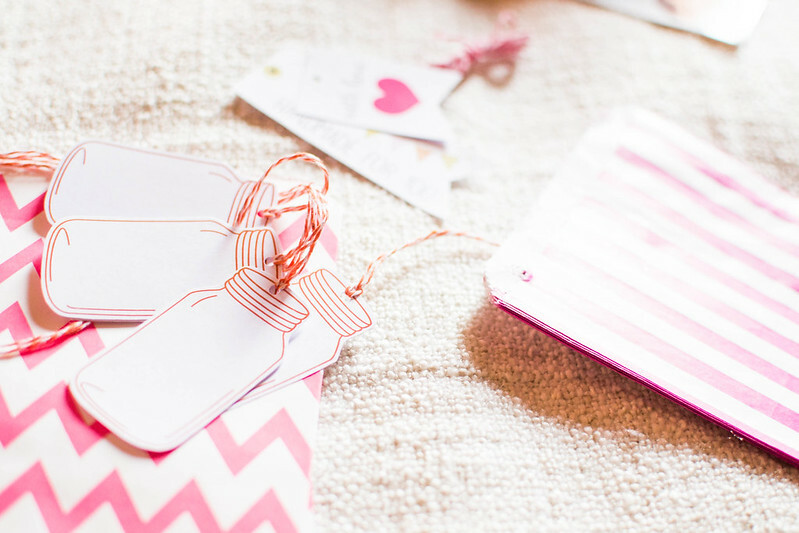 I’ve started to create a scrapbook and it’s been such a lovely website to by the creative things I need for it!